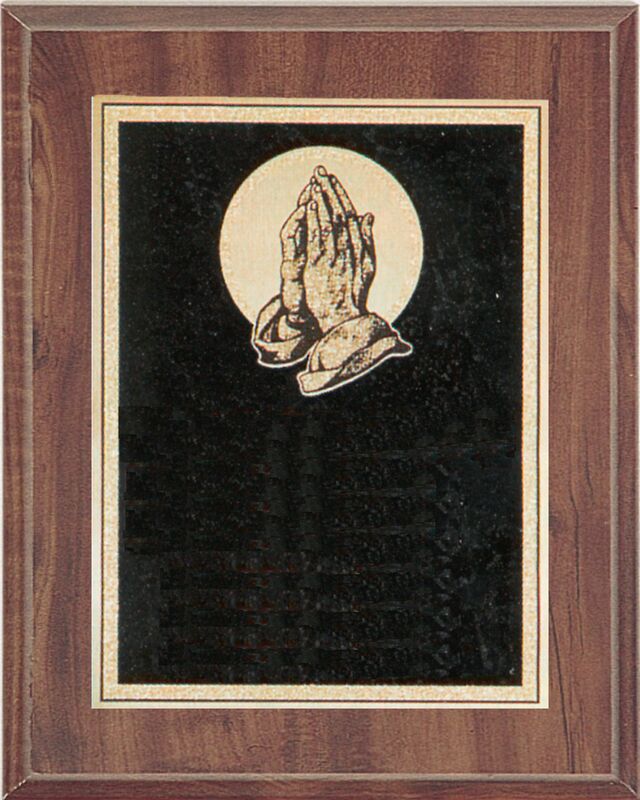 A Walnut Plaque with Black Brass Plate, Gold Edge Trim and Praying Hands. 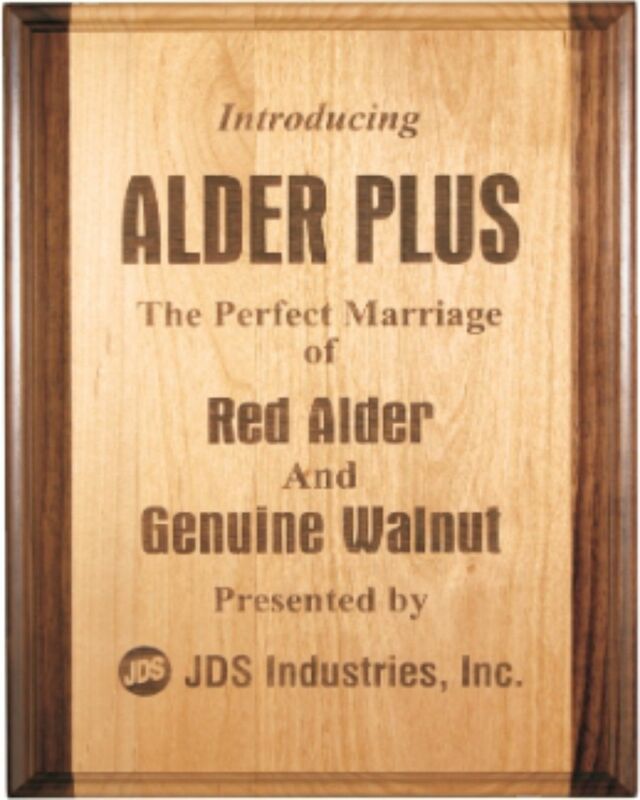 Alder Wood Plaque with Walnut Borders. 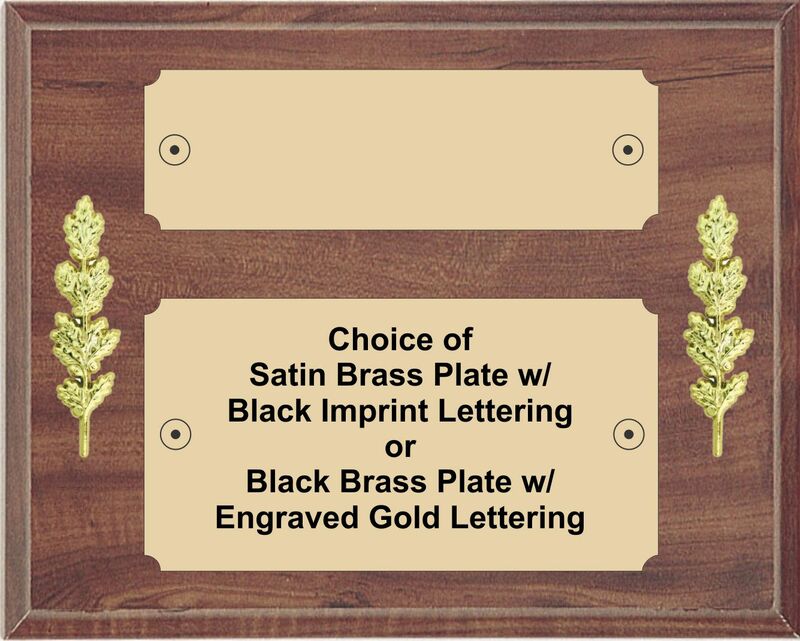 Lettering and and logo or designs laser engraved directly on to the board for that rich look. 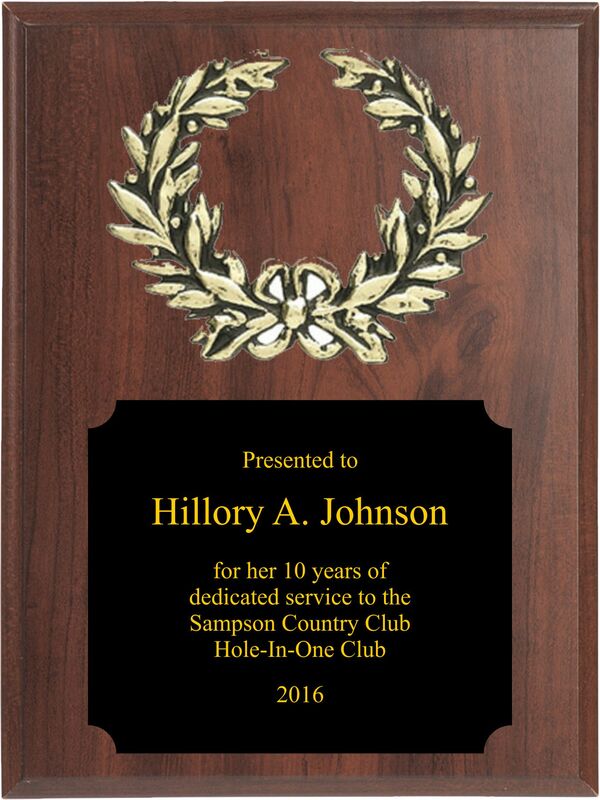 This plaque can be custiomized to fit your needs. 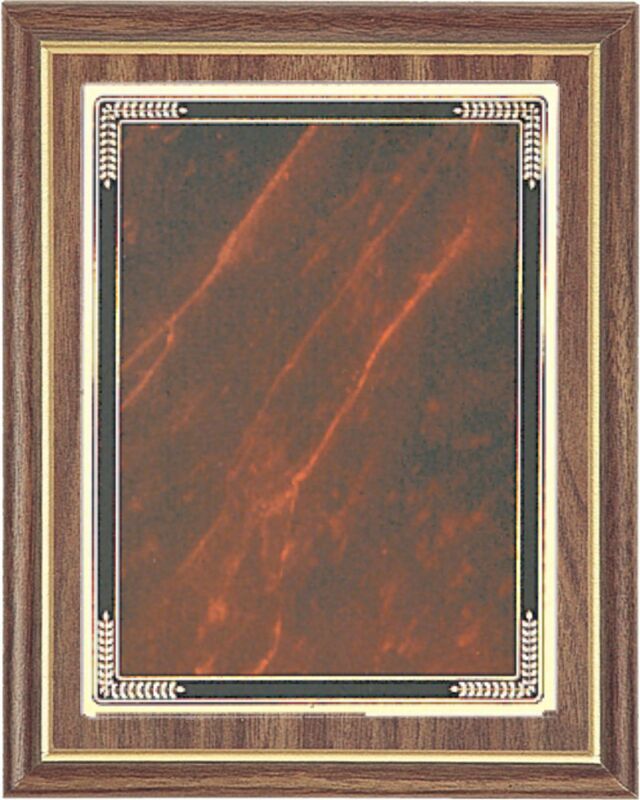 A beautiful Golden Walnut Tone Plaque with Gold Border. 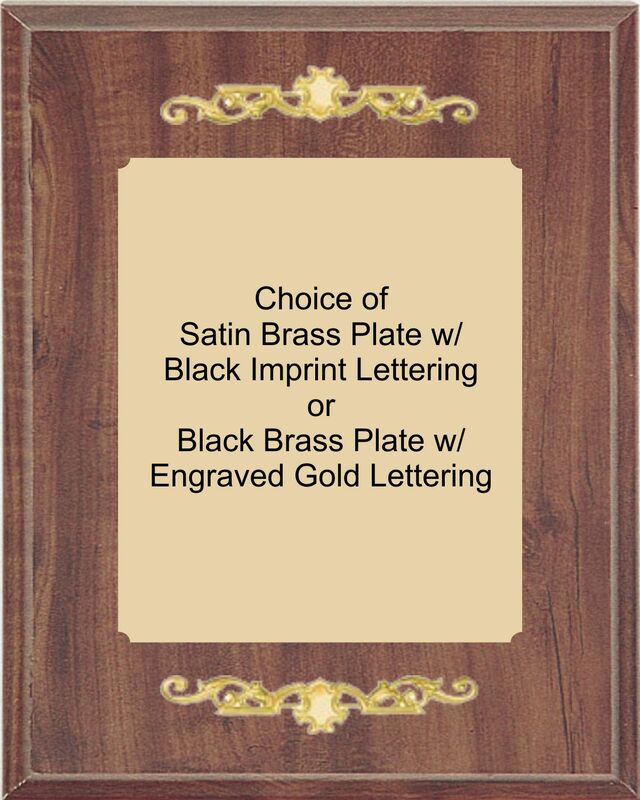 Plate comes in Back Brass /w Gold Lettering or Satin Gold Brass w/ Black Lettering. 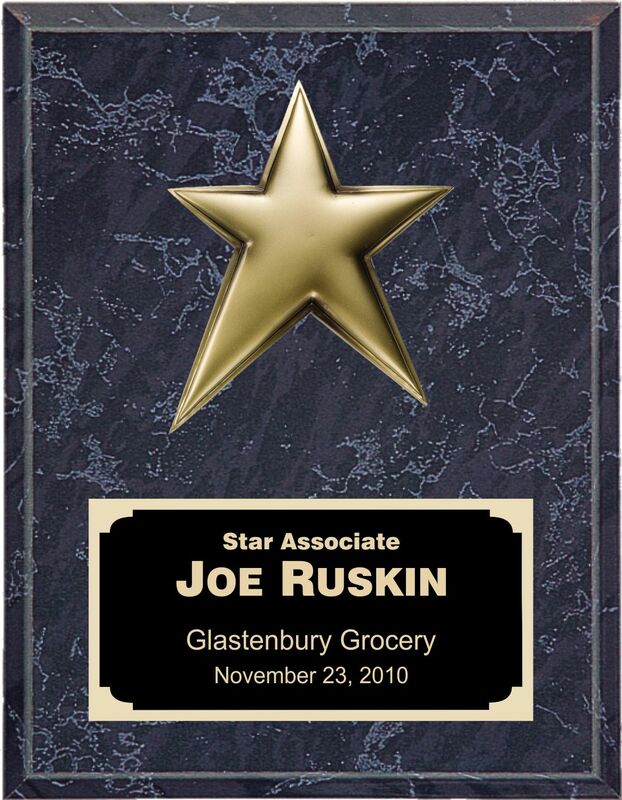 Matte Black Board with Gold Resin Star and Two Color Plate. 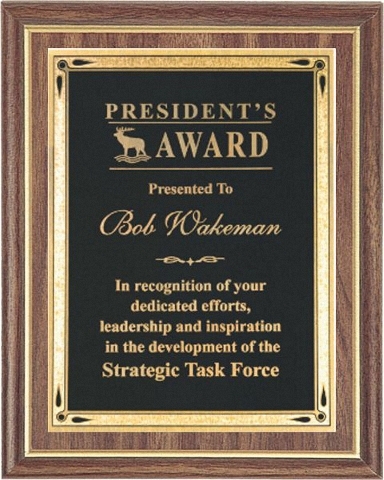 A beautiful Golden Walnut Tone Plaque with Gold Border. 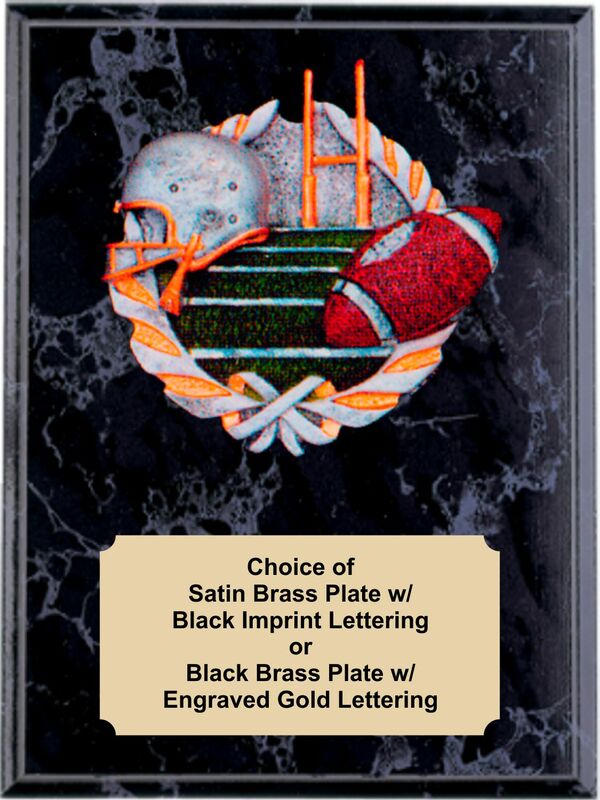 Plate comes in Marbleized Green, Red or Blue /w Gold Lettering. 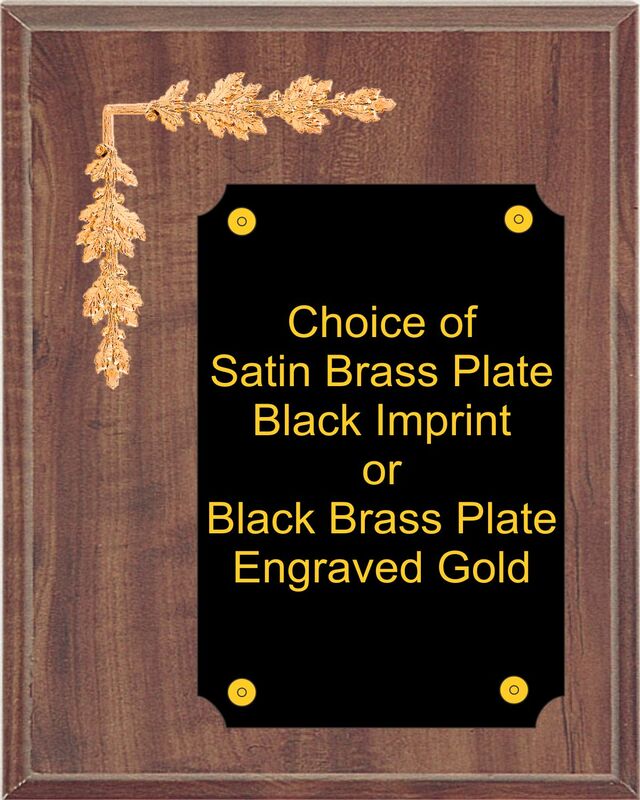 Piano Finished Ebony Plaque with an event specific plaque relief. 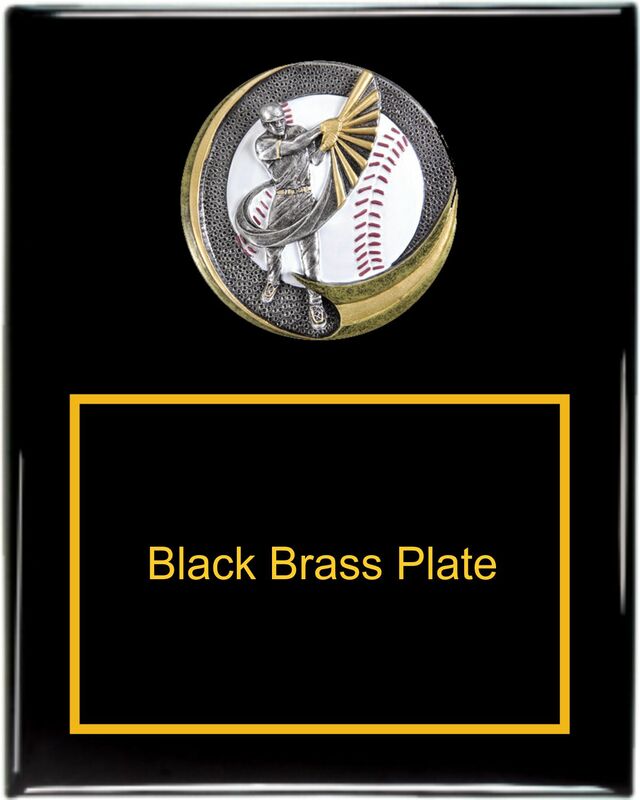 Black Brass Plate with Gold Border. 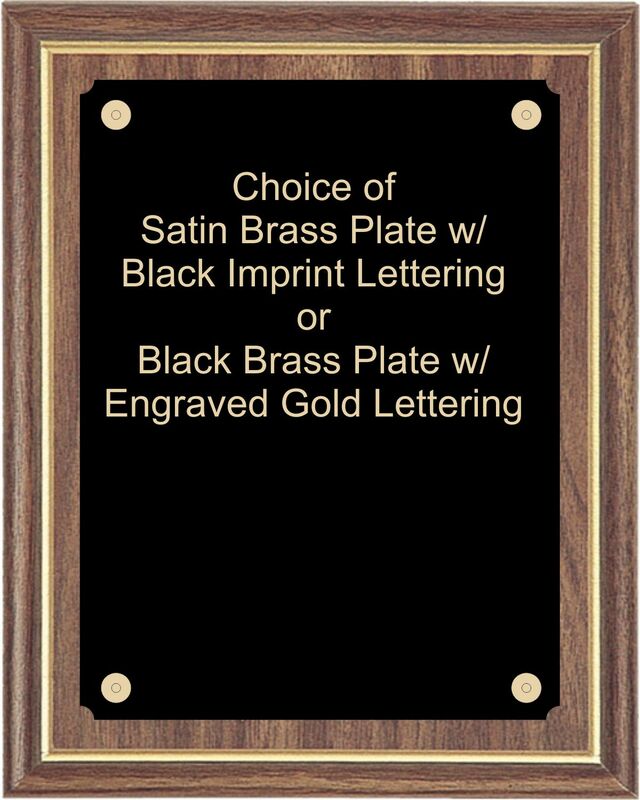 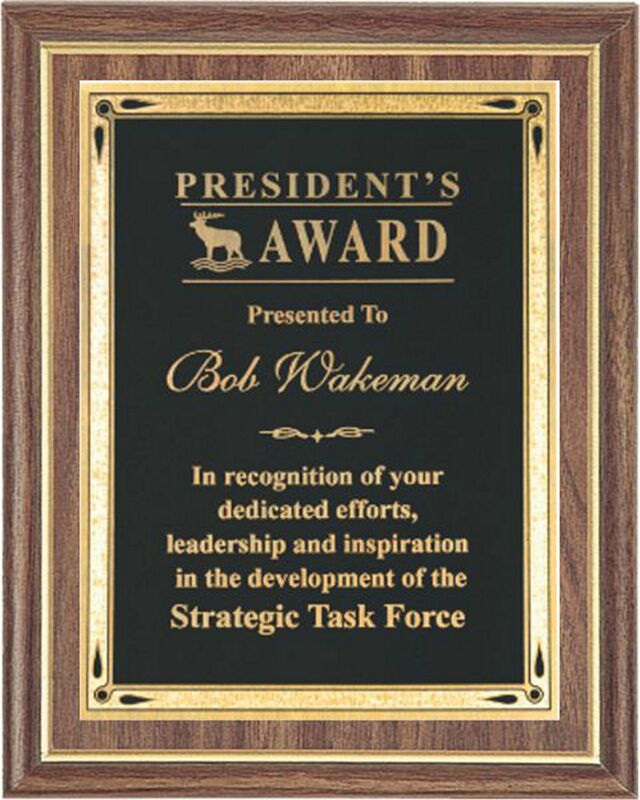 Black Marbleized Tone Plaque with an event specific plaque relief. 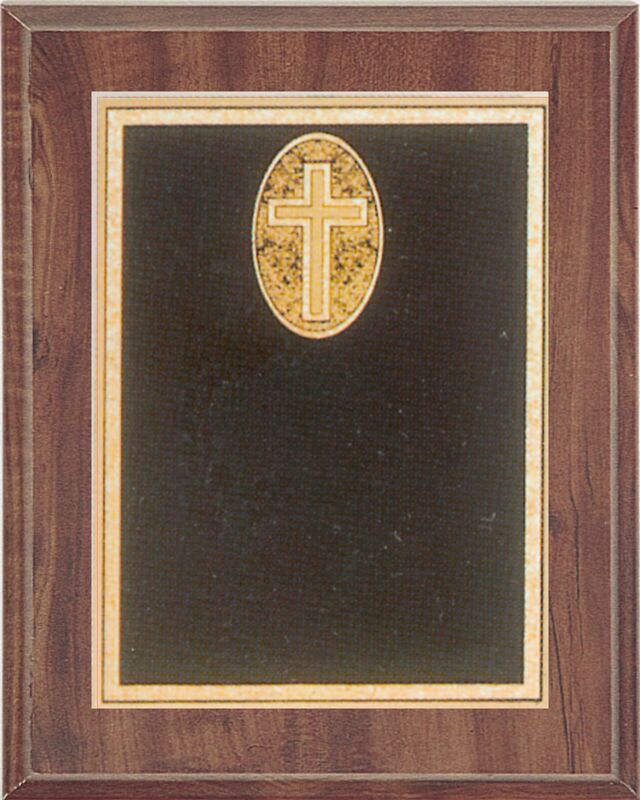 A White Marbleized Plaque with Pewter/Gold Religious Plaque Relief. 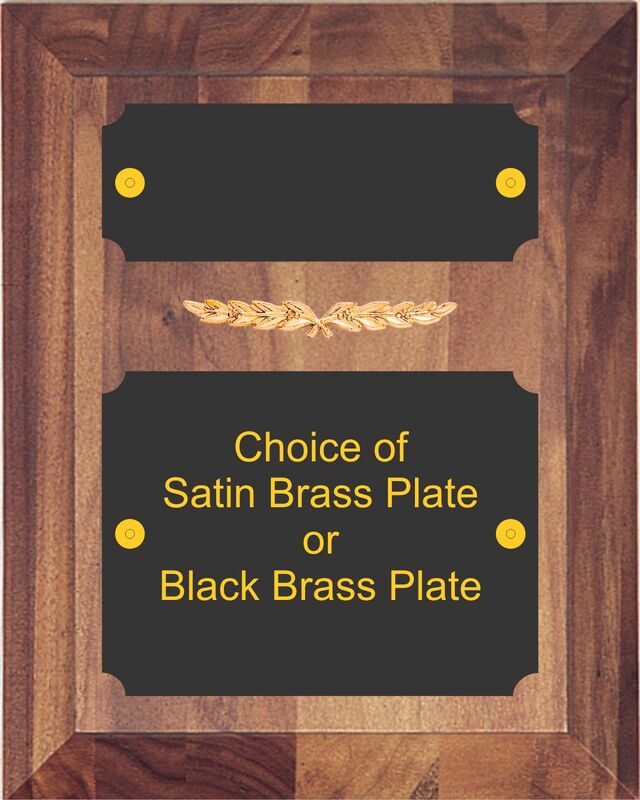 Your choice of Satin Gold Brass w/ Black Lettering or Black Brass w/ Gold Lettering. 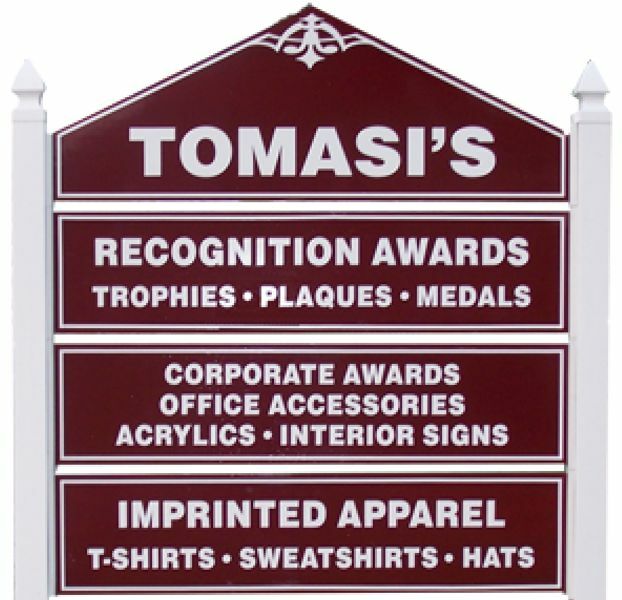 This Laser Engraved Piano-Finished Rosewood Plaque. 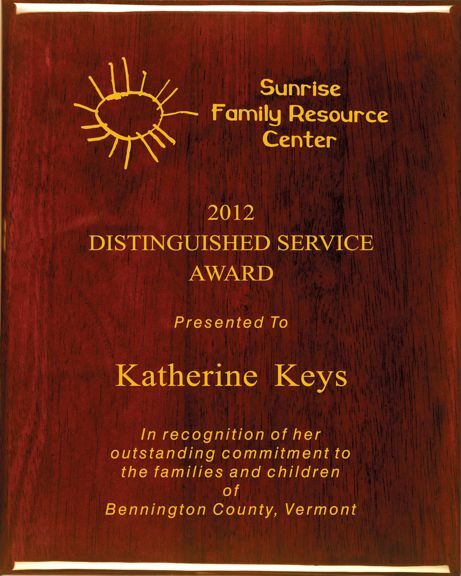 is clearly beautiful award. 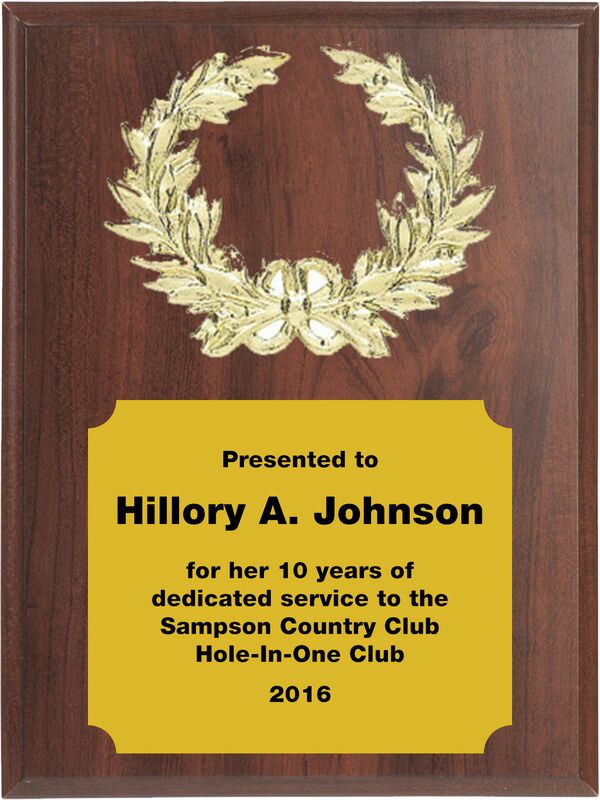 Your custom inscriptionis is laser engraved directly into the wood with fine details. 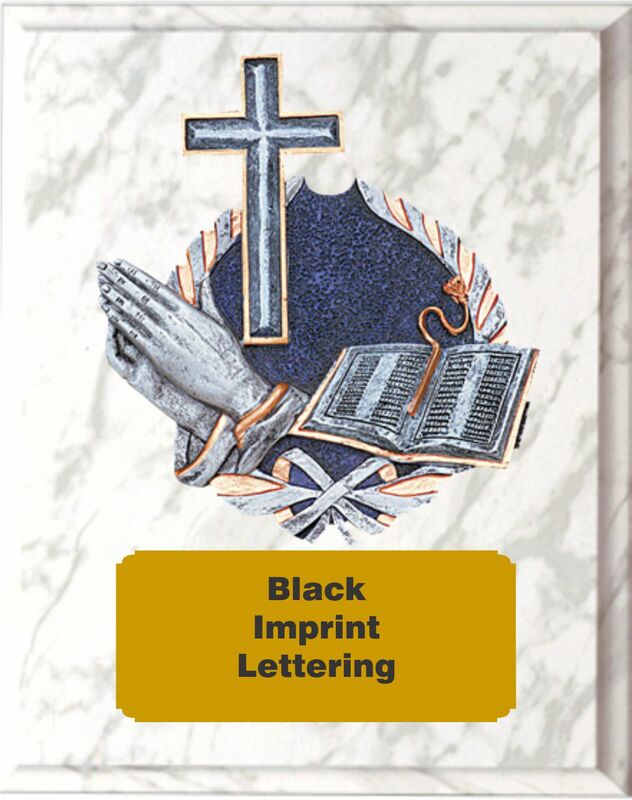 Metalic Gold or Silver paint is used to fill the engraving so as to provide a contrast for easing reading.